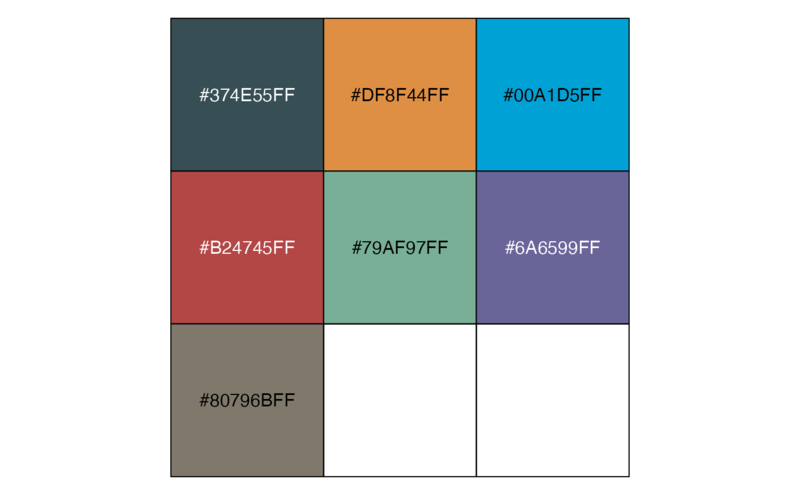 Color palette inspired by plots in The Journal of the American Medical Association. Palette type. Currently there is one available option: "default" (7-color palette).